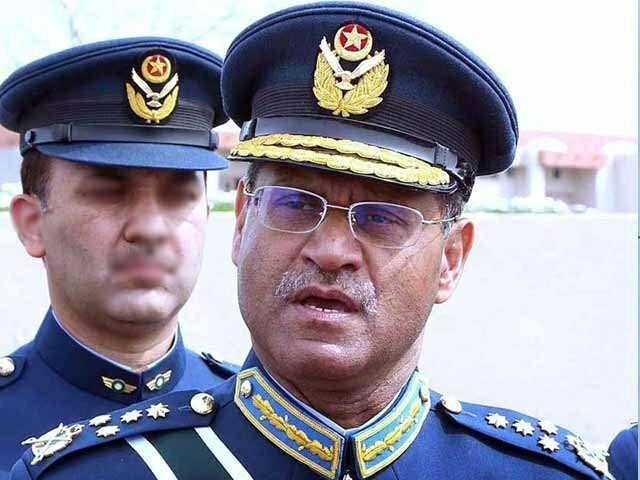 ISLAMABAD: Chief of Pakistan Air Force (PAF) Air Chief Marshal Sohail Aman has said that the PAF has been directed to shoot down any drones, including those of the US, if they violate the country’s airspace. Aman, talking to an audience in Islamabad, said that the attack on Kamra Air Base was the biggest and most unfortunate tragedy in the PAF’s history. Speaking about terror threat emanating from Afghanistan, the air chief said that many countries have failed in the war against terror, however, Pakistan was successful in bringing about peace. “Even Indian defence officials attest to our successes on the battlefield,” Aman boasted. The PAF chief also informed the gathering that in the attack on Kamra Air Base, terrorists managed to destroy one PAF SAB plane completely, and also inflicted considerable damage. “An international organisation wanted $287 million to cover the material damage that the PAF sustained in the attack, but Pakistan’s bright, young scientists and engineers added two new fully-functioning SAB planes to our fleet at a fraction of the cost,” Aman said. Stressing that there was no shortage of talent in the country, he said that people here needed a platform on which to showcase their exceptional talents to the world. Discussing security issues at large, the PAF chief said that Pakistan is located in region which is facing many challenges and difficulties at the moment. “Pakistan is unfortunate in the sense that our neighbours are trying to harm us. India, being our sworn enemy, was behind the attack on Kamran Air Base. What do terrorists want from PAF planes?” he asked. “We cannot, though, change our neighbours,” Aman lamented. “No outside power can engineer a democracy inside a country, nor is democracy the solution to every problem. Examples in Iraq and Libya are in front of us. After the fall of Qaddafi and Saddam, what happened in these countries? Did they get democracy?” Sohail Aman said while talking about Middle Eastern affairs. Pakistan has to understand that it is Americas War on Terror that has destabilized the region and caused the increase of terrorism! Pakistan should cut ties with America and re-establish Islam as a political system and be a wind of change in the Muslim world. So you suggest that Pak should go back to the ‘old barbaric religious norms’ ignoring the free world order and the rest of the world would applaud you?